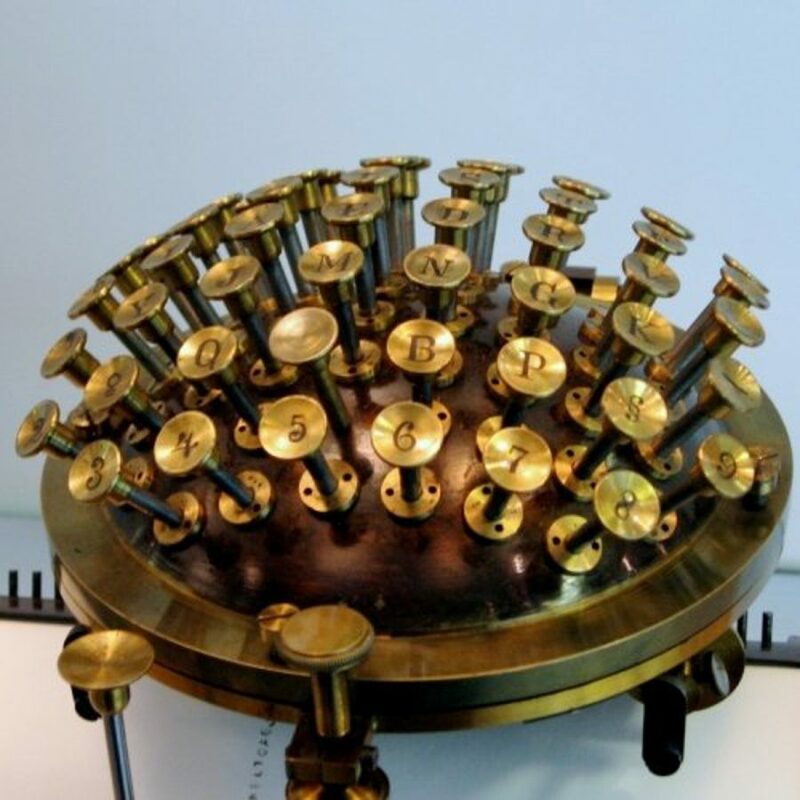 Behold Friedrich Nietzsche’s Curious Typewriter, the "Malling-Hansen Writing Ball" | Open Culture Behold Friedrich Nietzsche’s Curious Typewriter, the "Malling-Hansen Writing Ball"
Nietzsche himself declared that writing and reading for more than twenty minutes had grown excessively painful. With his intellectual output reaching its peak during this period, Nietzsche required a device that would let him write while making minimal demands on his vision. "In the year 1875, a quick writing apparatus, designed by Mr. L. Sholes in America, and manufactured by Mr. Remington, was introduced in London. This machine was superior to the Malling-Hansen writing apparatus; but the writing ball in its present form far excels the Remington machine. It secures greater rapidity, and its writing is clearer and more precise than that of the American instrument. The Danish apparatus has more keys, is much less complicated, built with greater precision, more solid, and much smaller and lighter than the Remington, and moreover, is cheaper." In addition to viewing several of Nietzsche’s original typescripts at the Malling-Hansen Society website, those wanting a closer look at Nietzsche’s model can view it in the video above. Felix Herbst, the video’s creator, has kindly provided a functional writing ball simulator on his website. I’d encourage you to give typing a shot—there’s something oddly satisfying about the crisp imprints made by its clattering metallic keys. What? You don’t like kugel? Also, if you’re going to be so particular, it’s schreib, not screib……. OK. How about Nietzsches rather than Nietzches in the title? And, for those so minded, you can even get a free font imitating the type face it used courtesy of the Cape Arcona Type Foundary. Hours of fun for all . . . maybe.